About | Dave Richards Homebuilding, Inc.
What amenities do you want in your dream home? Dave loves working directly with customers to deliver the home of your dreams! Customize the layout, design features, and appliances to fit your lifestyle and budget. 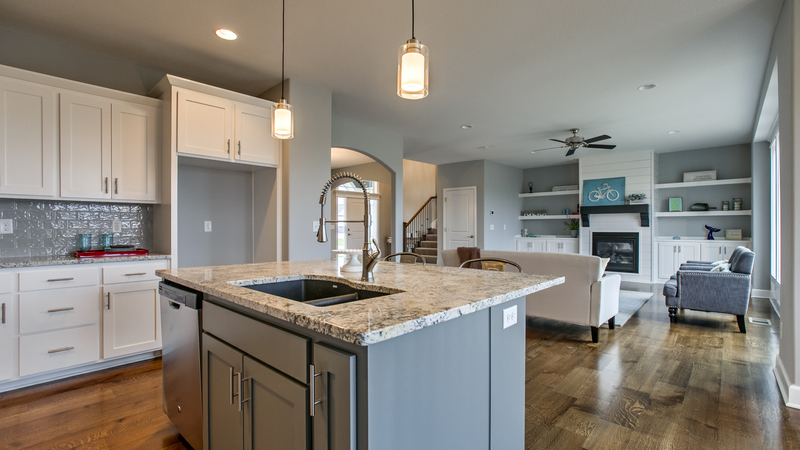 Dave Richards Homebuilding always delivers high-end finishes like granite, ceramic tile, and walk-in pantries for an affordable price. His work shines in communities throughout Eastern Jackson County including Kansas City, Blue Springs, Lee’s Summit, and Grain Valley. As a small builder, Dave is involved in the entire homebuilding process. It’s a family-run business. His son, Dave Richards III, joined the team in 2013 after studying at Emporia State University. He’s the On-Site Project Coordinator, overseeing the design and homebuilding every day. Like father, like son – details matter! If you ever have a problem, rest assured someone will answer your call and address the situation immediately. Just call the Front Line Warranty Service Team. It’s a third-party service, offered by 2-10 Home Buyers Warranty. It’s an industry leader, ready to answer your warranty issues in a timely and efficient manner. 2-10 Home Buyers Warranty only accepts the highest quality builders. The company checks the builder’s financial stability and building practices, making sure they follow nationally recognized building standards. With 30 years experience and awards from the Home Builders Association, Dave Richards Homebuilding is a name you can trust in Eastern Jackson County! He was named the Businessman of the Year by the Business Advisory Council. He’s also a member of the Presidential Business Commission. Dave, his wife Marcia, and younger son Jake are proud to call Grain Valley home. He lives and works in the community where he’s making dreams come true! Let Dave know what you’re looking for in your next home!